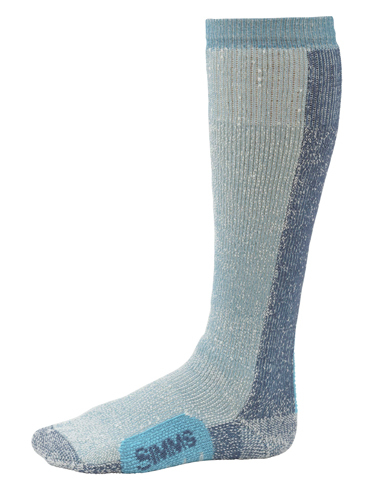 The new Simms Women's Guide Thermal Socks are specifially made to fit a woman's foot. The OTC (over the calf) feature is designed for maximum warmth with high-loft toastiness. Additional features include Right Angle arch support and premium merino wool for moisture management and odor prevention.